To partner with families in building a biblical foundation that will lead a child into a personal relationship with Jesus Christ. To empower children with the Holy Spirit through Worship, Biblical teaching, and fellowship. To teach children to think, reason and make decisions biblically. To assist parents in training their child in righteousness. To teach children to love others and share the gospel of Jesus Christ with them. The goal of AWANA is to reach boys and girls with the gospel of christ and to train them to serve him. Children learn to hide God's word in their heart through the memorization of scripture. 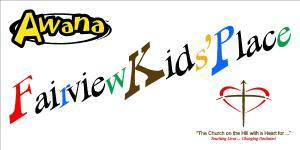 AWANA has 3 main components: Handbook time, Game time, and Large group time.